Given the nature of our sector by its peculiarities and complexities, one more time, it´s demonstrated the importance of the distributor figure regarding to international expansion goals. The real interest of this figure with a closed commercial collaboration and its technical skills are essential factors regarding to an adequate development of the brand in a new market. In that order, a foreigner commercial partner turns into an extension of the company on the objective market. 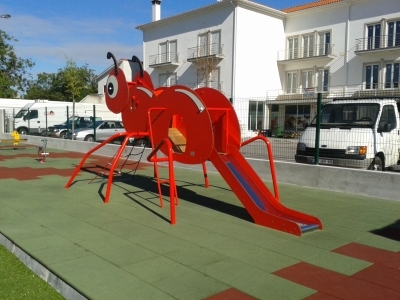 EuroTenis Equipamentos Desportivos, exclusive distributor of Entorno Urbano in Portugal is a clear example of this case. Along 2014, we have obtained 9 public projects and others considerable privates ones. We fully appreciate all EurTenis professionals, collaborators and specially Santos family efforts.